New psychological theoretical framework suggest U.S. handgun ownership motivated by combination of fear of crime and a general sense that the world is an unpredictable dangerous place. The motivation to own a handgun for self-protection is not just about fear of crime, according to the model proposed by Wolfgang Stroebe and Pontus Leander (University of Groningen, The Netherlands), and Arie W. Kruglanski (University of Maryland), it is also about a more general sense of threat emanating from “the belief that the world is an unpredictable and dangerous place and that society is at the brink of collapse.” These dual layers of threat also predict beliefs that people have the right to shoot and kill in self-defense and that people should have broad 2nd Amendment rights. The study, “Is It a Dangerous World Out There? : The Motivational Bases of American Gun Ownership” appears in Personality and Social Psychology Bulletin. In terms of human behavior, “it is not just concrete, specific threats that change our behavior, but also vague, general ideas about threat,” write Stroebe and colleagues. “Even if we cannot pinpoint exactly why we feel threatened, the fact that we are threatened at all can lead us to want to own handguns for self-protection and advocate for more expansive rights to carry and use them.” The authors developed a new theory based on psychological principles, to better understand how these behaviors and beliefs influence American gun owners. The first three studies explored their model for understanding gun ownership beliefs. The authors conducted surveys of 839 men in the U.S, 404 gun owners and 435 nonowners. “We expected the Orlando mass shooting to move the needle on the belief systems of gun owners, so we were surprised that there was practically no effect,” says Stroebe. The framework presumably only applies to the United States. “Guns have been part of US history since the American frontier and the right to own a gun is enshrined in the Constitution, which may change the way Americans think about guns relative to people who live in other countries and cultures,” says Stroebe. Wolfgang Stroebe, N. Pontus Leander, and Arie W. Kruglanski, “Is It a Dangerous World Out There? 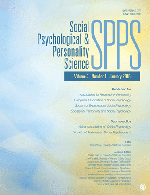 : The Motivational Bases of American Gun Ownership.” Personality and Social Psychology Bulletin, online before print June 8, 2017.